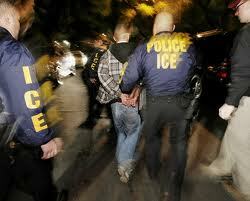 Deportation, by definition, is the removal or expulsion of a foreign national from a country other than their own. This term should not be confused with extradition or exile. Under United States Law a person can be removed or deported if they have entered the U.S. illegally, arrived with a Visa and overstayed their visit, or fell out of status from a previously obtained legal status. There are many reasons why an immigrant or foreign national living and working in the United States could face an order for Deportation. The ramifications of such an order can be devastating not only to the person, it may affect an entire family or group of people as well. These ramifications can be traumatic to young and old alike and can affect the financial prosperity of all those involved. At the Hein Law Firm L.C. we have over a decade of experience helping individuals and families avoid, fight, and event prevent their removal from the United States. We understand the reasons why you are here and will fight to make sure your rights are respresented and your case is heard. Our reputation in successfully managing difficult immigration cases has made the Hein Law Firm an important resource to Hispanic immigrants in Saint Louis, Missouri and with offices in Mexico City and Buenos Aires, we have the resources to meet your needs even before your enter the United States. We understand the each case is unique and every scenario is different. We have worked with many clients over the years to help them remain in the United States and pursue their American Dreams. We agressively defend our clients from all immigration removal orders and work tirelessly for your rights to be well represented and heard in Court. Waivers like the one mentioned here are sometimes a practical defense against removal or legal re-entry into the United States. Our exeperienced legal team will help you or your loved one achieve their legal status in the United States.